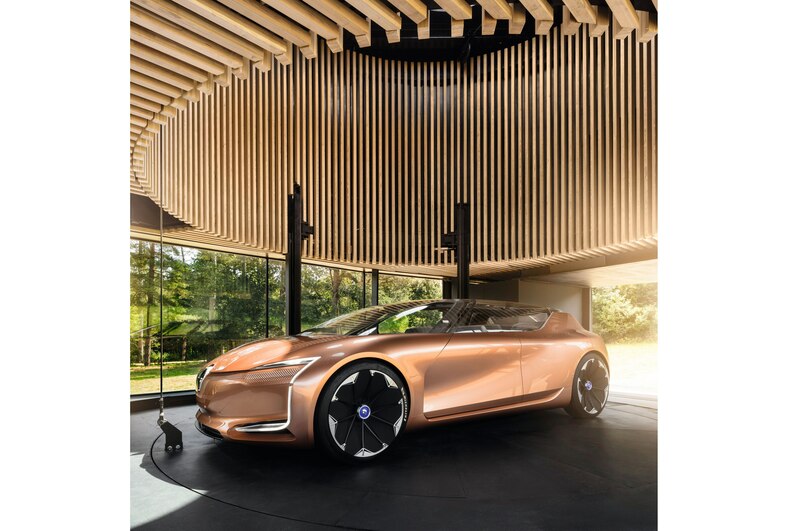 We’ve seen a number of autonomous concepts over the years, and many have interiors that resemble a living room in a typical home. Usually you find cozy chairs that face each other and plenty of screens for entertaining passengers. 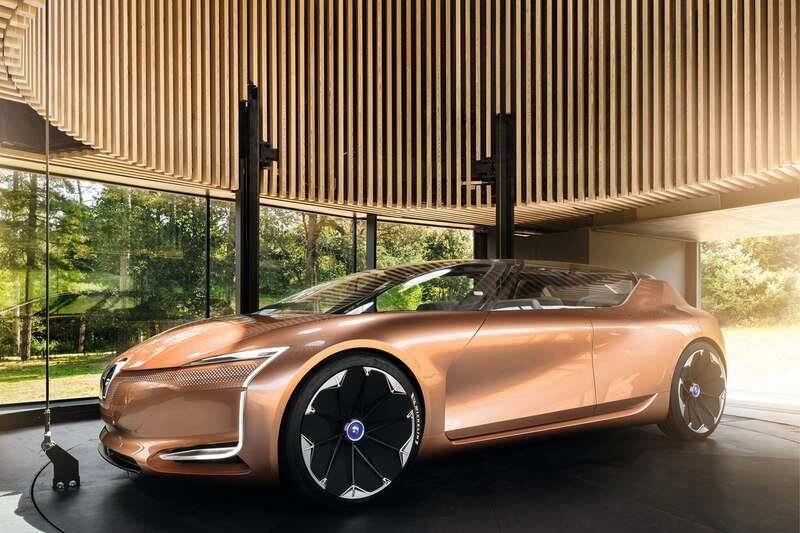 But Renault has taken autonomy a step further by introducing Symbioz, a self-driving concept that integrates into the home. The Symbioz doubles as a self-driving car and an extra room in your home. To fill both roles, the Symbioz is not too big but not too small, measuring 15.4 feet long, 6.5 feet wide, and 4.4 feet tall. Its large car proportions afford a comfortable interior dressed with wood, marble, felt, and porcelain. A glass roof makes the cabin even more airy, as does the lack of a B-pillar. 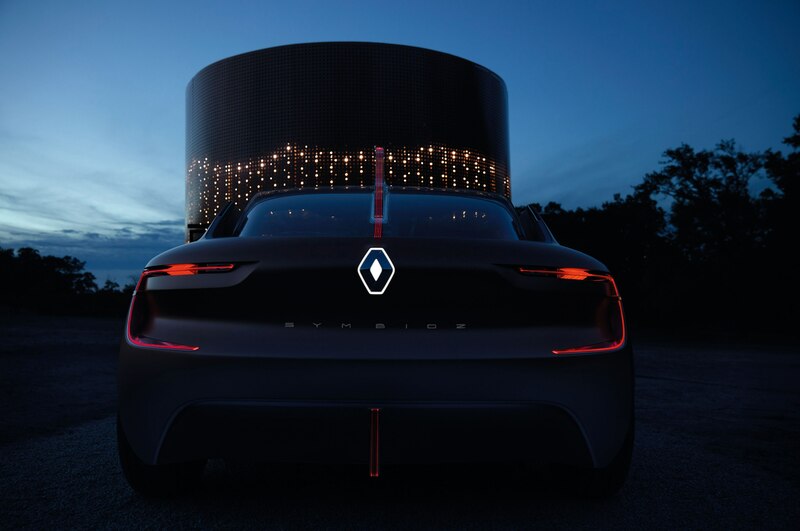 One version of the Symbioz, called the demo car, hints at what we could expect future cars to look like in 2023. 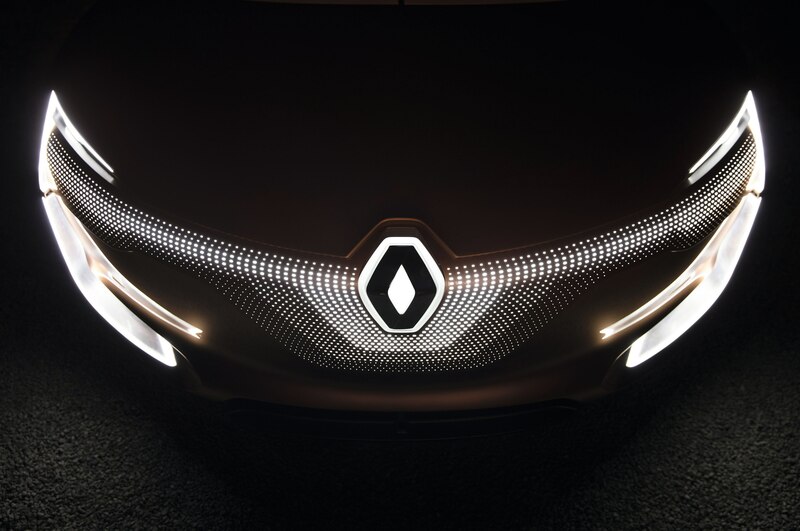 Drivers can switch between autonomous mode and manual mode by pushing the Renault logo in the middle of the steering wheel. While traveling in autonomous mode, the steering wheel and dashboard move back to free up room in the cabin. The interior can be configured in three different ways. One layout retracts the steering wheel and dashboard to allow extra foot room, while another called the “French Kiss” lets the driver move closer to the person in the front passenger seat. A “Relax” position lets drivers recline in a zero-gravity position. When the car is operating in manual mode, drivers can choose between a comfort and sport setting. 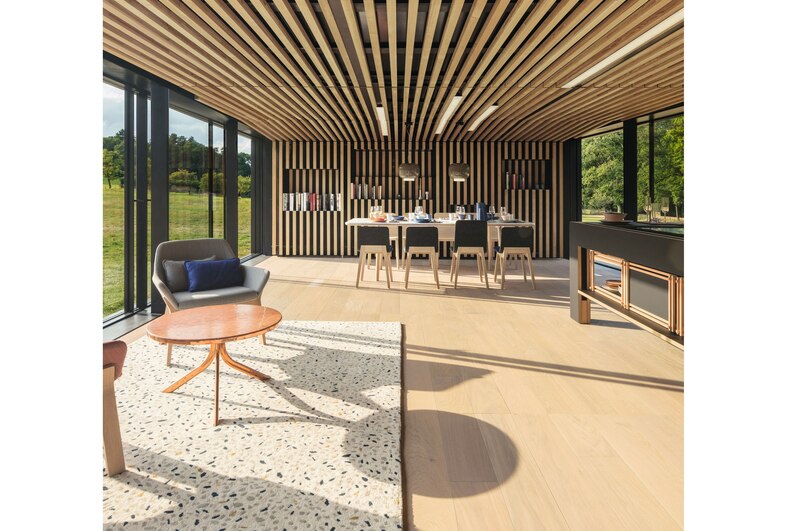 Another version of the Symbioz looks ahead to 2030, where interiors will become more sophisticated. 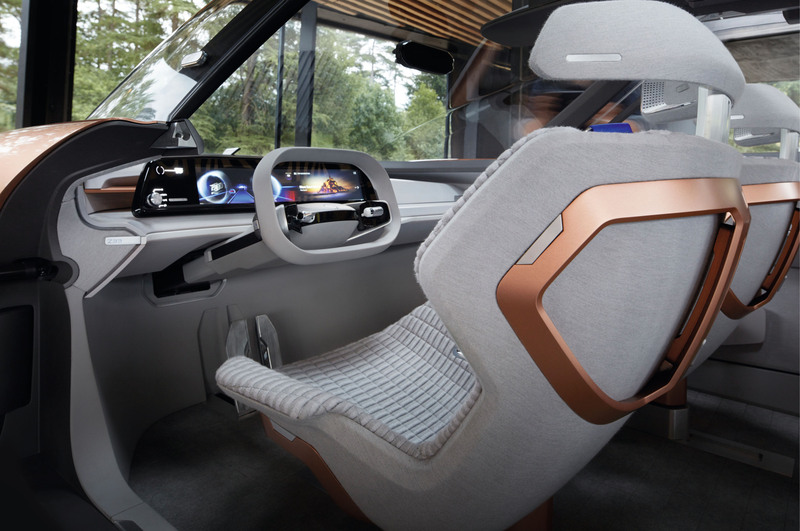 Along with a spacious cabin, the vehicle features an OLED display in front of the driver, seats that pivot 180 degrees, a steel frame table with marble top, and armrests that fold away. Small touchscreens are positioned in the seat belts to control climate and infotainment functions. Both models demonstrate Level 4 autonomy, in which cars take charge of virtually all driving tasks such as changing lanes, cornering, and navigating through traffic jams. Those inside are free to read, watch a movie, or work while the car is moving. If for any reason the car encounters a situation it can’t handle, it will move to a safe spot on the side of the road. 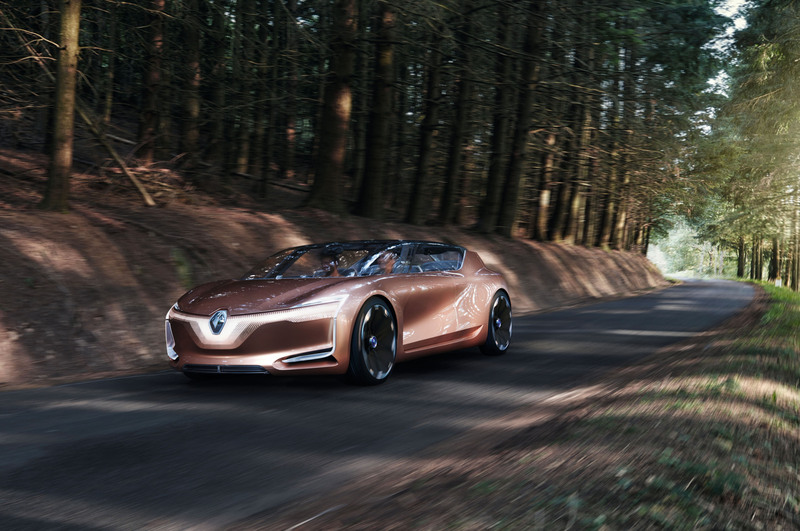 Not that output is the top priority in an autonomous car, but the Symbioz demo car produces 671 hp and 487 lb-ft of torque with the help of two electric motors, one driving each of the rear wheels. Hitting 62 mph should take less than 6 seconds in the demo model, and range is estimated at 310 miles. The Symbioz concept for 2030 will likely improve upon these numbers. When not in use, the Symbioz is meant to be parked inside your home. 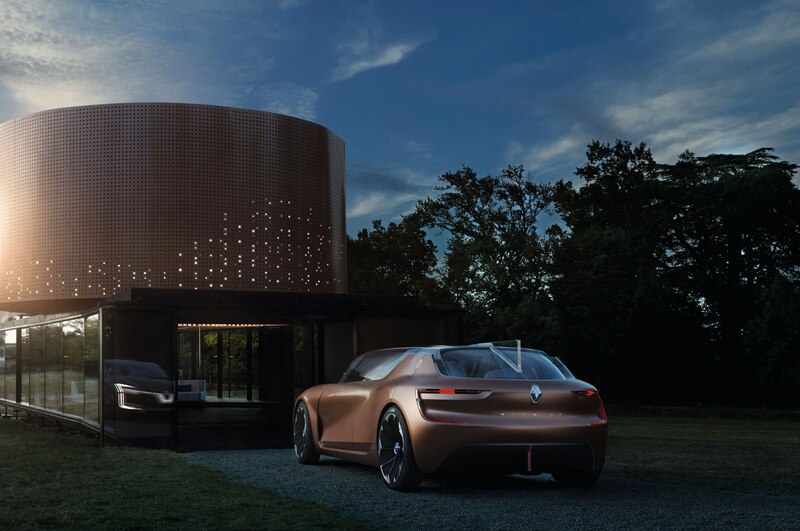 That is, your home of the future according to Renault. From the exterior to the interior materials, the home and car feature a similar design to make drivers feel more comfortable wherever they are. 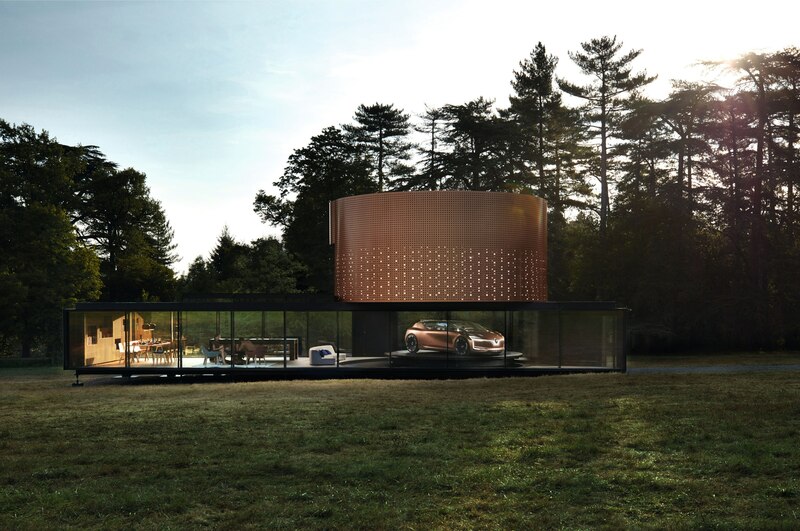 Once the car is parked in the home, an elevator lifts it up to the second floor or rooftop where It can be stored. In this capacity, the model serves as an extra living space. Both the home and car also share power in a smart grid. Drivers can program their car to use the home’s energy for recharging when needed. The car and the home also coordinate to make sure the car has been moved to the ground floor a few minutes before a owner’s scheduled trip. 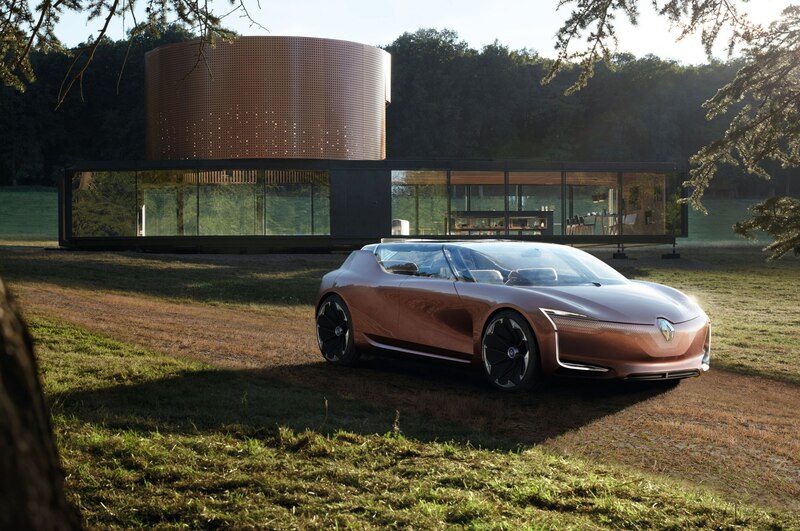 The Symbioz debuts alongside another autonomous car, the Audi Aicon concept, at the Frankfurt auto show this month.